Phir Tassawur Ne Liya Uss Bazmm Mein Jaane Ka Naam! 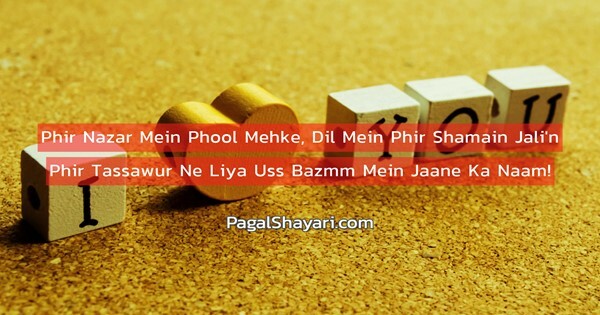 This is a great phool shayari hindi. Please share if you liked this!! !